The Neck plays a vital role in Balance, Health, Immunity and Longevity throughout our lifetime. 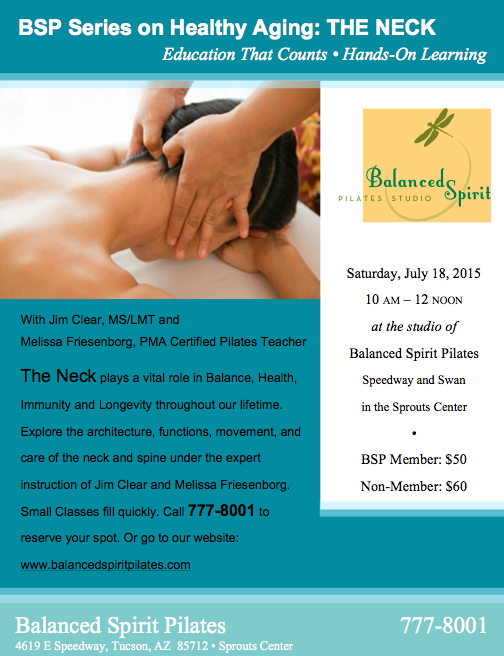 Explore the architecture, functions, movement, and care of the neck and spine under the expert instruction of Jim Clear and Melissa Friesenborg. Small Classes fill quickly. Call 777-8001 to reserve your spot or go to our schedule and sign up!